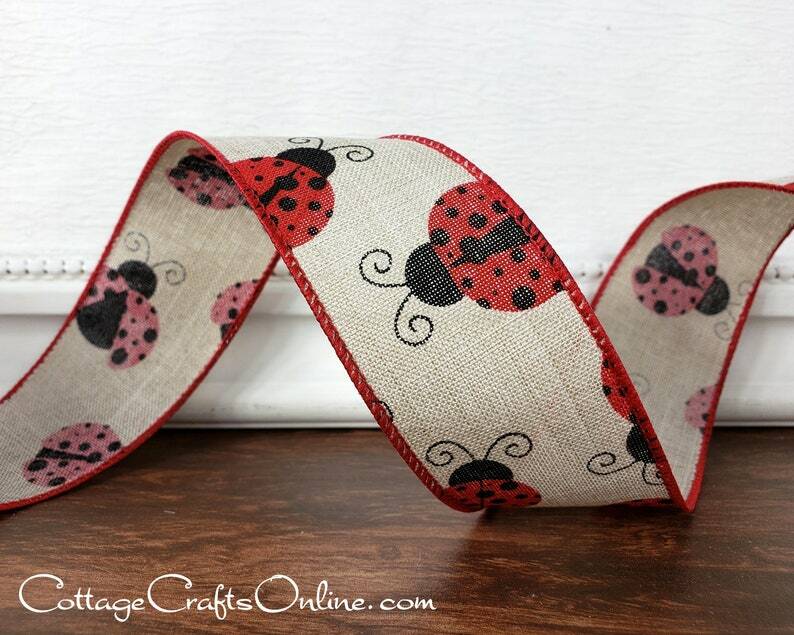 Large red ladybugs in a pop art style on 1 1/2" wide tan faux linen ribbon with a wired edge covered in red thread. Ideal for spring, summer and garden ribbon craft projects. PLEASE NOTE: Ribbon is cut from a wider printed fabric; your roll may not look exactly like the ones pictured. This listing is for a 10 yard roll. RETURN POLICY: Please choose carefully. Orders for seasonal ribbons, including this item, cannot be returned. Excellect service and fast shipping! Beautiful ribbon and really fast shipping. The seller was really nice and provided great communication. I will purchase from again.